Rock Em & Sock Em Joust Pit Rental | FroggyHops.com Minneapolis MN. 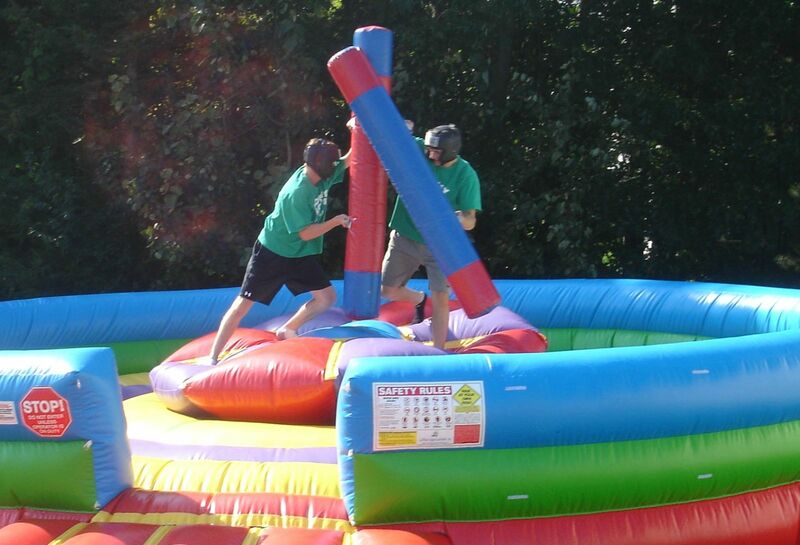 This popular gladiator-style joust pit brings a new level of competition in inflatable games! Perfect for graduation parties, fundraisers or corporate events, the inflatable jousting gives an opportunity for older kids and adults to join in on the fun! To prepare for the jousting game, two opponents put on their protective armour (a leather headgear helmet). 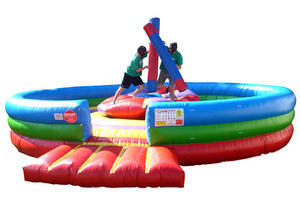 Thie joust pit features an inflatable entrance ramp that makes entry into the arena safe and easy. Once in the pit, there is a free-floating rocking platform that heightens the jousting experience. Viewers get a good laugh just watching Participants try to balance on the platform! Once both Players are on the platform, the games can begin! The two opponents try to knock down their competition with the 6' long foam joust pole while trying to keep their balance at the same time. The joust poles are made of 100% pure high-density foam and wrapped in soft vinyl to provide a sturdy, but soft, impact. The jousting equipment is free from any rigid surfaces, providing a smooth and safe battle. Once an opponent falls into the inflatable pit, he or she is kept on the interior of the inflatable by the circular safety wall. At 25 feet in diameter, the pit has plenty of space for safe landing for even the tallest of competitors! The Rock'Em and Sock'Em Joust Pit provides hours of fun competition for the participants and the viewers! 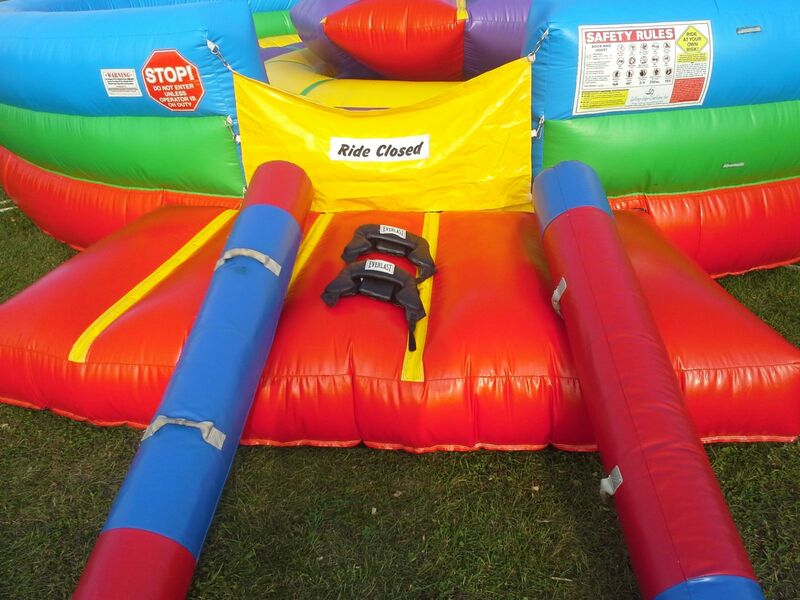 Click here for Package Deals with the Rock'Em and Sock'Em Joust Pit.